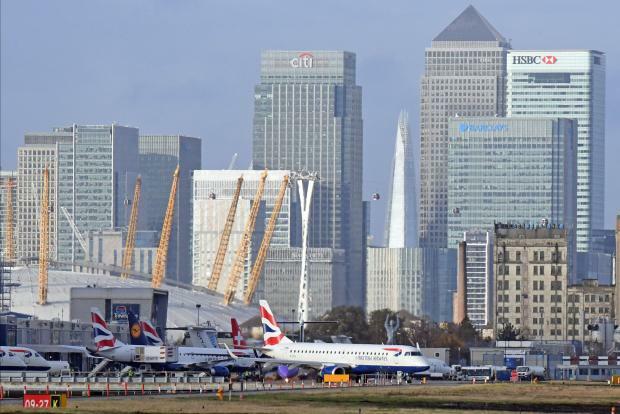 More than 100 departures have been cancelled at London City Airport after the discovery of an unexploded Second World War bomb. Chief executive Robert Sinclair said all flights in and out of the airport in east London would be stopped after the device was found at the George V Dock on Sunday. The Metropolitan Police set up a 214-metre (700ft) exclusion zone on Sunday evening to ensure the device could be dealt with safely. People living inside the zone were evacuated from their homes overnight, while police said a number of road cordons have been put in place in Newham. On the trains, Docklands Light Railway services between Pontoon Dock and Woolwich Arsenal have been suspended. Mr Sinclair said: "All flights in and out of London City on Monday are cancelled and an exclusion zone is in place in the immediate area. "I urge any passengers due to fly today not to come to the airport and to contact their airline for further information. "I recognise this is causing inconvenience for our passengers, and in particular some of our local residents. The airport is cooperating fully with the Met Police and Royal Navy and working hard to safely remove the device and resolve the situation as quickly as possible." A spokesman said on Sunday night: "At 10pm an operational decision was made with the Royal Navy to implement a 214-metre exclusion zone to ensure that the ordnance can be safely dealt with whilst limiting any risk to the public."